ENGLAND will win the World Cup by 2026 – if Dele Alli can become the Three Lions’ version of Zinedine Zidane.That’s the belief of former Liverpool boss Gerard Houllier, who was a key figure in France’s World Cup and European Championship successes.He was the brains behind their state-of-the-art training base at Clairefontaine and insists England are on the right lines with St George’s Park and ready to build on their under-20 World Cup success. But Houllier insists that the Three Lions need one major star to emerge, and believes Spurs’ star Alli has the potential to fulfill. “To me, St George’s Park is a great achievement and you will see the benefit of that in five or ten years’ time,” he said. “We opened Clairefontaine in 1988 – we won the World Cup in 1998. “But to win something you need to have a good team with an outstanding player. France had Zidane when he was playing. We haven’t won since he stopped.“Portugal, who with all due respect, are a good-to-average side that work hard, is well-organised and has a good coach…and have Cristiano Ronaldo. That makes a difference. “Look at the teams that win. Argentina with Diego Maradona. Portugal with Ronaldo. France with Zidane – you need a player like that. “Even the Champions League final, Juventus and Real Madrid. Who won? “The team that had Ronaldo. It is a collective sport where the individual makes the difference. 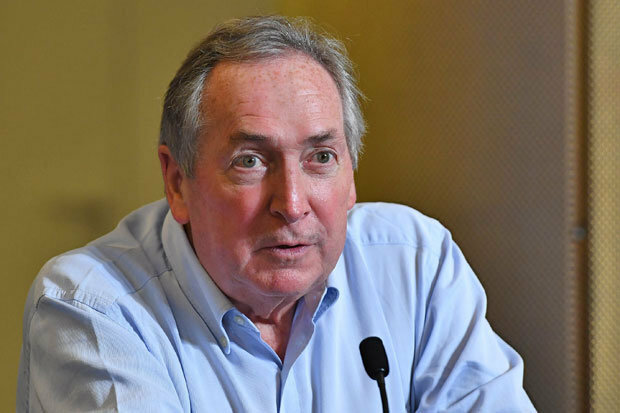 Houllier, who also managed the French national side and Aston Villa, will be at tonight’s game. And he will be keeping a close eye on England boss Gareth Southgate after revealing he applied to work as Houllier’s assistant at Villa Park. “I knew Gareth well over the years and I like him,” Houllier added.“He is a nice guy and he has made his way up the steps – Middlesbrough then the under-21s. He has done very well.“The best thing that can happen for Gareth’s side is not only to qualify for the World Cup coming up but at least to reach the quarter-final.